Every now and again, a brand comes along that completely changes my life. 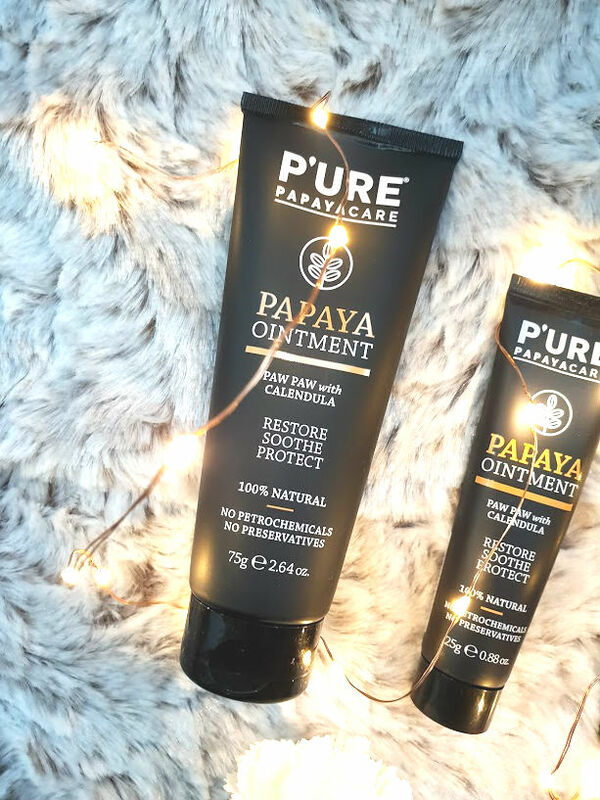 I've stumbled across a few in my blogging years and PURE Papaya is one of them - I can't stop boasting about them in real life and now its time for the Internet to be shown! The brand and range has been created to give us access to products with any harsh chemicals inside, these don't contain petroleum or mineral oil - which are actually really harmful for the skin. PURE Papaya makes products from the highest quality ingredients and papaya is the main one. It is one of the most incredible fruits for skin, it restores and renews the skin. Australian Organic Papaya is also a wonderful natural skin exfoliator that “ scavenges” away dry damaged skin to leave it supple and rejuvenated. Traditionally it is known as a healer for dry skin and wounds. The whole papaya is used in their products, every single bit from the skin to the seeds because it is all useful! This is a great multi-use product that I have discovered has more uses than it did originally. This is a very rich nourishing formulation that my skin has fallen in love with. The first and easiest use of this was to apply this to my elbows, hands and feet. Australian Organic Papaya is rich in vitamin C,E, antioxidants and enzymes that clear away dry damaged skin leaving it rejuvenated and supple. One tiny pump of this makes all the dryness, flakiness and rough texture disappear. It has a very rich and thick texture, which took me a bit of getting used to at first but now I know exactly how much is needed for which area of my body. The large tube stays beside my bed for times in need, my skin is dying at the moment due to the weather - and this has been a lifesaver. Then the little tube is currently in the draw of my desk at work, because my hands are always getting dry. This comes in really handy to quickly apply without having to wait for it to dry or settle. As a bonus this also smells AMAZING! Now this lip product is so much easier and simpler to use on the lips. You can apply it straight out of the tube (well I do) compared to the ointment which is a bit of a hassle for small areas. 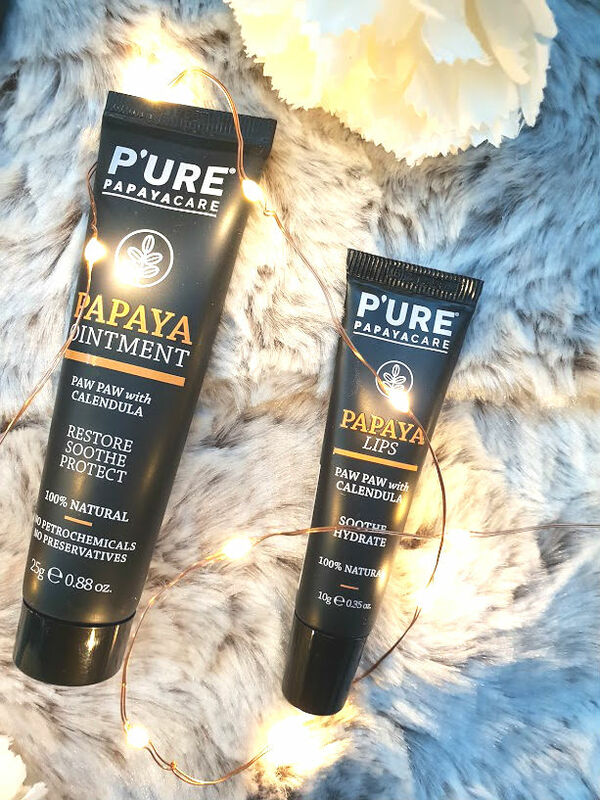 P'URE Papaya Lips combines Australian organic papaya with calendula, shea butter, jojoba and macadamia oils to produce a magic formula for your lips. I am slightly addicted to this and find myself using it 5-6 times a day, I probably don't need to as my lips aren't really that bad but the feeling of this on the lips and the feel of them after is like no other. It is not sticky, light on the lips and after applying my lips feel like butter - so soft and silky. This is also lovely to apply on top of a matte liquid lipstick as a gloss, it gives it a subtle shine and some hydration too. 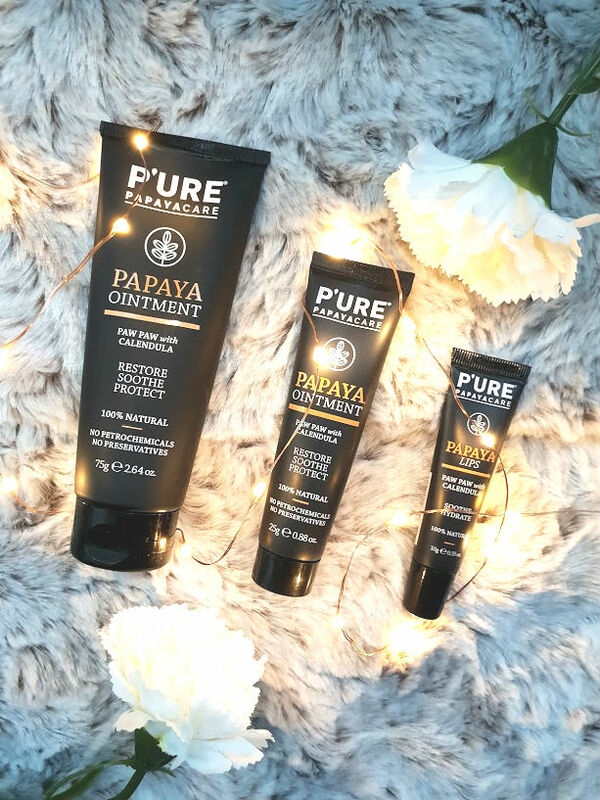 I am so impressed with PURE Papaya as a brand, their products are outstanding and great for those of us who suffer with serious dry skin in the winter and even summer. They also aren't that expensive and you are paying for unique, high quality ingredients - something that doesn't come around very often. Have you tried anything from them before?